At some point or another, we all find ourselves watching carefully what so unsympathetically leaves our wallets. Maybe it’s because you have decided that all that fancy food, as tasty and as pretty as it may be, is not helping you save money for that brand-new iPhone. Or it could be that life is just too hectic for you to wake up early enough to bring your lunch from home while at the same time eating out no longer favors your budget. Whatever your reasons (or excuses, I’m not judging), you still need to eat. So to aid you in your money-saving efforts, here is all the information you need on where you can get the best bang for your buck without skimping your taste buds. If you are looking for a tasty, healthy and cost-effective meal, look no further than Dr. Kabob. 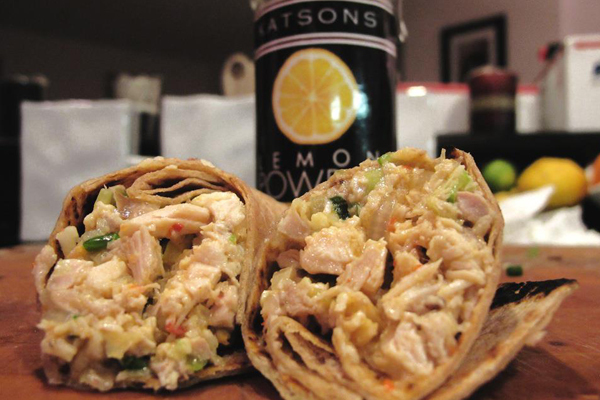 They have wraps for as low as $6.95 with their popular lamb shawarma wrap running at $8.75. 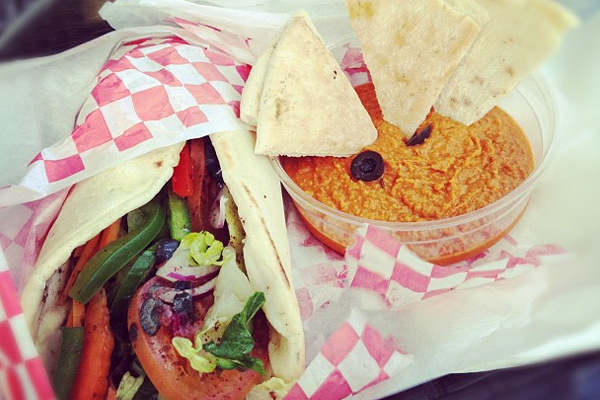 For the vegetarians, they offer a falafel pita sandwich for only $6.75. Their selection of hummus dips with Mediterranean baked pita chips makes for a delicious snack or side dish starting at $3.45. Or try the chicken kabob for only $3.95. Dr. Kabob is located at the Pacific Bay Hotel in Tumon, next to Churrasco. 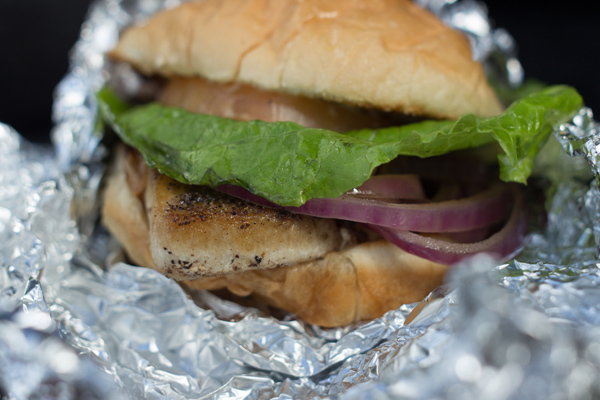 Mosa’s is certainly one of Guam’s best food trucks. The prices are reasonable and the food is delicious. All items on the menu are $7 and come with a drink. If you want to make it a combo, you can add a Greek salad or a taco salad for only $2. Monday, Wednesday, Thursday and Friday they are located at the Skinner Plaza in Agana and on Tuesday in front of Inn on the Bay in Agat. When in Agat they are open from 11 a.m. to 6 p.m. and in Agana they are open also from 11 a.m. but only until 2:30 p.m. 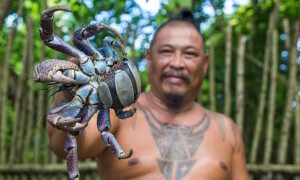 When you get that hankering for the tasty foods covered in our 5 Foods You Must Eat on Guam, the best place to satisfy your craving without assaulting your pocketbook is Chamorro Village. 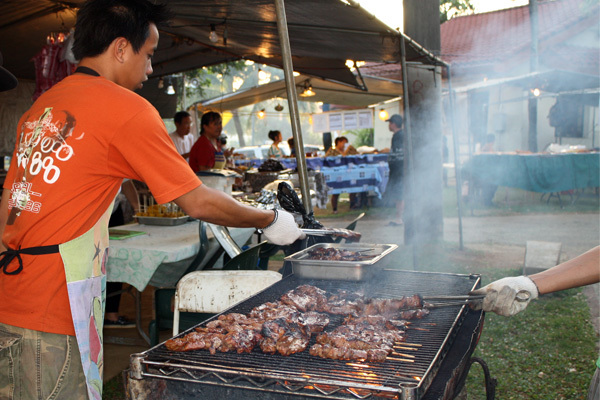 There you’ll find a number of different kitchens each specializing in local foods. The prices range from about $6 to $8, depending on how many choices you desire. They generally come with white or red rice and a side order of your choice. 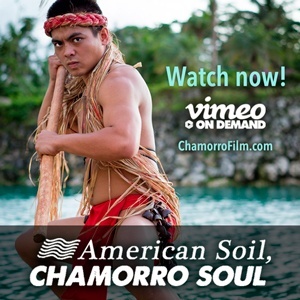 Chamorro Village is located in Agana off of Route 1. While in more of the mid-range with regard to prices, Brutus certainly has quality and quantity without being over-priced. The main items on their menu range from as low as $7 to $12. During Happy Hour, which runs from 4 p.m. to 8 p.m. Monday thru Friday, you can get $2 tacos and a $5 quesadilla, among other budget-savvy choices. House of Brutus is located in the ITC Building in Tamuning. 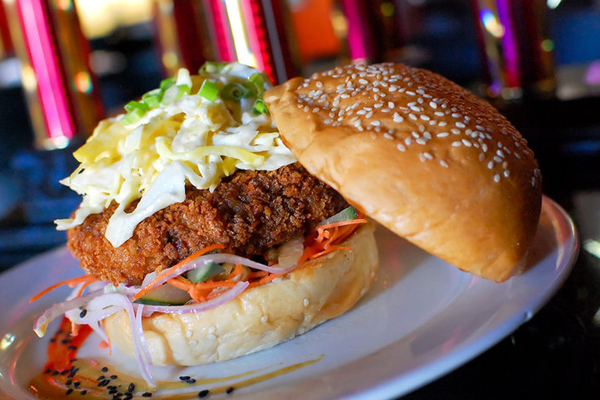 Horse and Cow serves up good ol’ classic budget foods, tacos, mini-burgers and hot wings. Specials run every day of the week excluding Sunday. 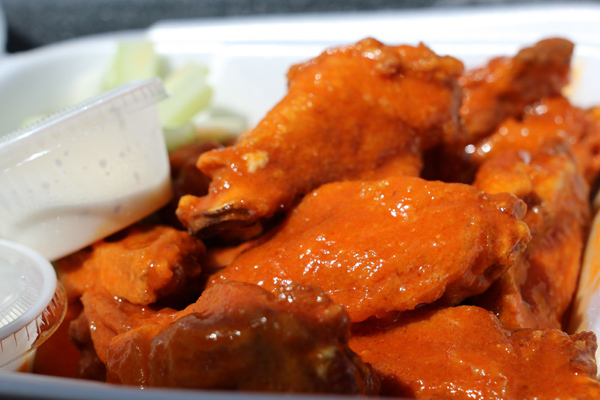 On Monday and Thursday they feature their “World-famous H & C Hot Wings” for only $.50 each. Pay just $1 per beef taco on Tuesday and Friday. On Wednesday and Saturday you can get an angus beef mini-burger for $3 or with fries for $4. Every Tuesday night is steak night with an 8 oz. sirloin going for just $7. Wednesday nights are “Buck a Rib Nite” at $1 per rib. Keep in mind, Horse and Cow doubles as a pub and a grill so it may not be a place for you to bring the kiddies. Horse and Cow is located off of Route 1 in Tamuning right next to Infusion Coffee and Tea. Sharky’s is one of Guam’s newest diners, offering up classic American comfort foods at reasonable prices. Their menu items run from $7 to $11 which includes a build-your-own burger, sliders, tacos, and sandwiches among other choices. They have daily specials which are favorable to the budgeted customers and include Taco Tuesdays, where their Tex-Mex tacos are only $1.50 each, and Wing Wednesdays with a dozen of their spicy chicken wings going for only $9.99. 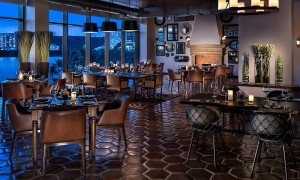 Sharky’s is located across the Hyatt Regency Hotel in Tumon. Editor’s Note: Sharky’s closed since this article was published. 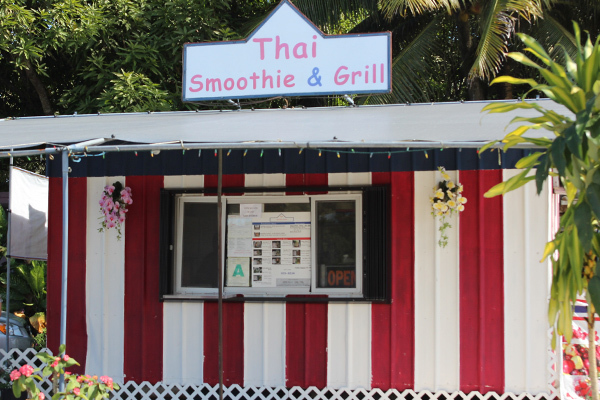 Offering what most certainly is some of Guam’s best Thai food, Thai Smoothie & Grill is a humble food stand located in Ordot. They offer a breakfast menu from 7 a.m. to 10 a.m. and feature fried rice for as low as $3. Their lunch menu is just as reasonable with the pad Thai going for only $7, the smoothies for $3.50 and many other delicious options ranging from $7 to $9. Thai Smooth & Grill’s hours are from 7 a.m. to 6 p.m. on weekdays and 10 a.m. to 6 p.m. on Saturdays and holidays. They are located on the corner of Route 4 and the road leading to Leo Palace Resort in Ordot. And now you are armed with a plethora of budget-friendly, money-saving, yummy-eatin’ establishments for you to sink your teeth into while your wallet stays green and happy. Having lived on Guam for the past 15 years after his family relocated from Hawaii, Joel has discovered this island to be a home where his heart is. Whether it may be music, photography, amateur filmmaking or most inherently, food, he finds joy in art of all natures. 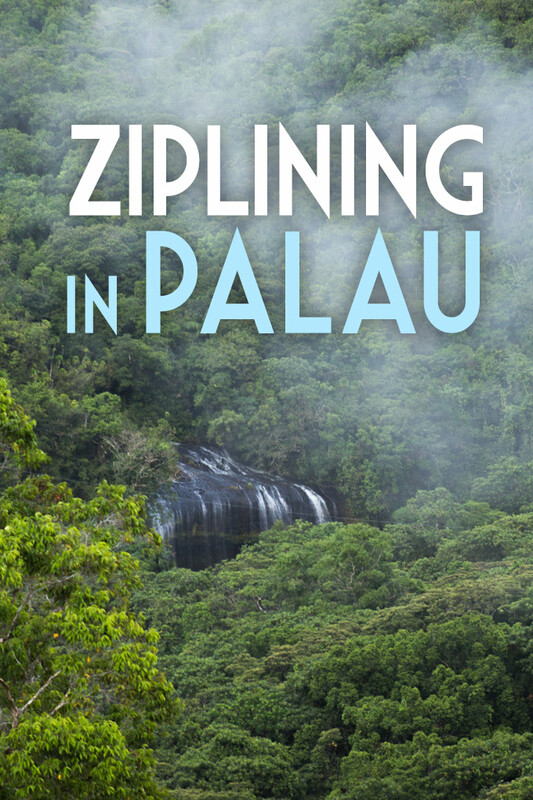 He has recently formed an addiction to travel and while he will never pass up an opportunity to visit somewhere new, he can always tell by that missing rhythm in his chest when it’s time to come back home.